First of all - i apologize for any grammatical mistakes, as english isn't my native langauge. Secondly, this thread gonna be pretty ''complex'' because i tried many things, and i want to give you as much details as possible. So let's get started. - I want to buy a thermal paste (Cooler Master MasterGel and put it myself, and I also want to buy 3 addition system fans) - and there's the thing. There's one fan on the back panel(120mm), one on front panel (120mm). 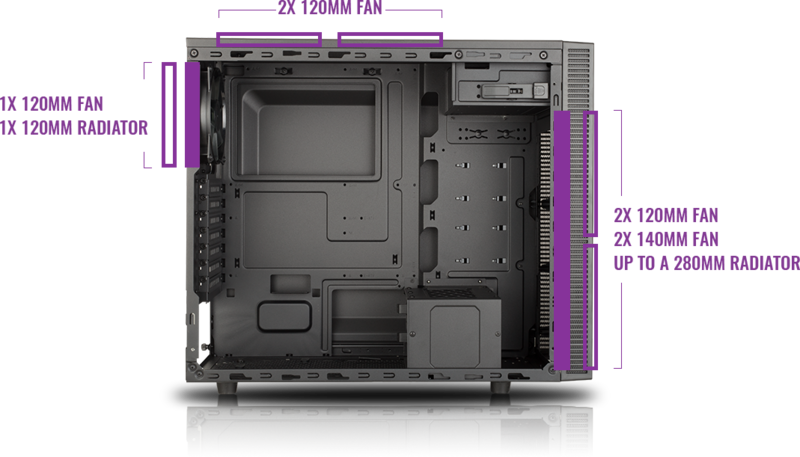 I want to put the front panel Fan above the CPU, like on the image http://assets.coolermaster.com/products/masterbox-e500l/img/c5.png there is around 3,5 cm space to put the fan, whilst the fan is 2,5 cm itself and add another one - it makes 3 fans (1 back panel, 2 above CPU) slot out of 4. 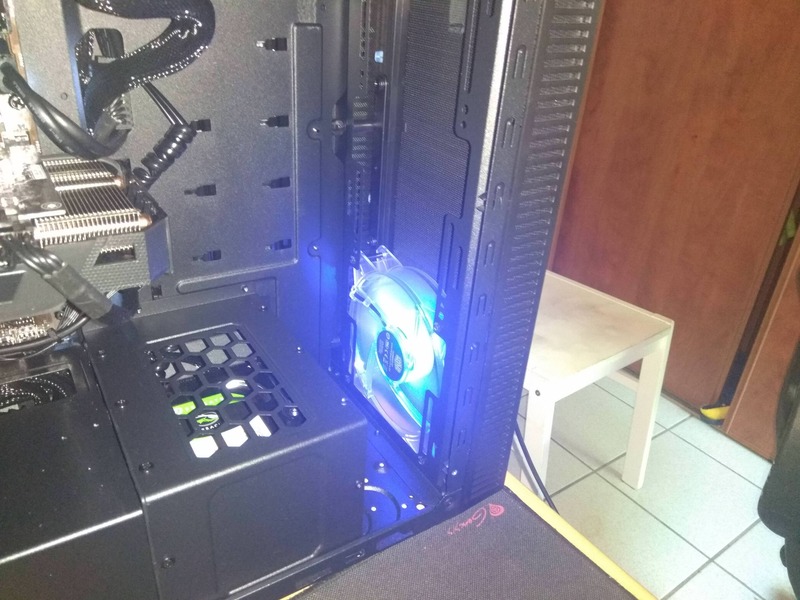 Fourt 140mm fan on the front panel, and... as i don't have watercooling and don't have money to buy one, i would like to go with another 140mm fan plugged into PUMP connector - i heard it works, but the fan will be always on 100%, right? I mean, that should really put the temperatures down. Yeah, i looked at the images and it is putting air outside, so you're saying we're good with this fan at least? 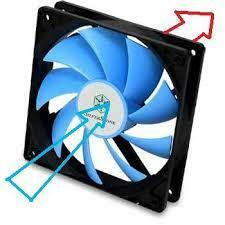 Whatever you do with your case fans, try to keep the number of fans taking air in/out balanced. E.g. 2 fans in, 2 fans out. More outtake than intake fans will make the system more silent, but hotter. More intake fans will make the system louder, but cooler. Of course, 1 intake/2 outtake is still better than 1 intake/1 outtake, 2 intake/1 outtake would be cooler than both (but also louder). In your case, the best config of all would be 3 intake, 3 outtake fans. 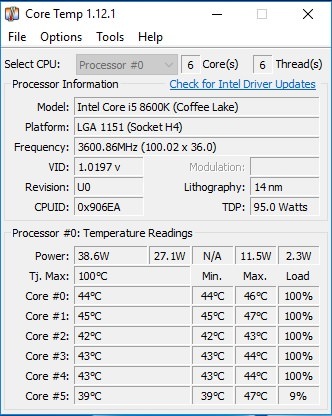 As for CPU temps: Reapplying thermal paste isn't a bad idea. When you do that, also make sure the CPU heatsink sits tight on the CPU (but don't apply excessive force either). Perhaps the heatsink isn't pressed on the CPU well enough and doesn't make full contact. So in this case, front fan shoul put the air inside, yeah? But what about fans on the top panel above CPU, if i buy it, should it put the air or take the air outside? Fans at the top and rear should normally push air out, fans at the front, bottom or side panels should pull air in. Check and make sure the cpu cooler is still mounted securely. Check the mounting bolts and make sure they are all still tight. Your temps are a bit high, but not on the dangerous side of things. 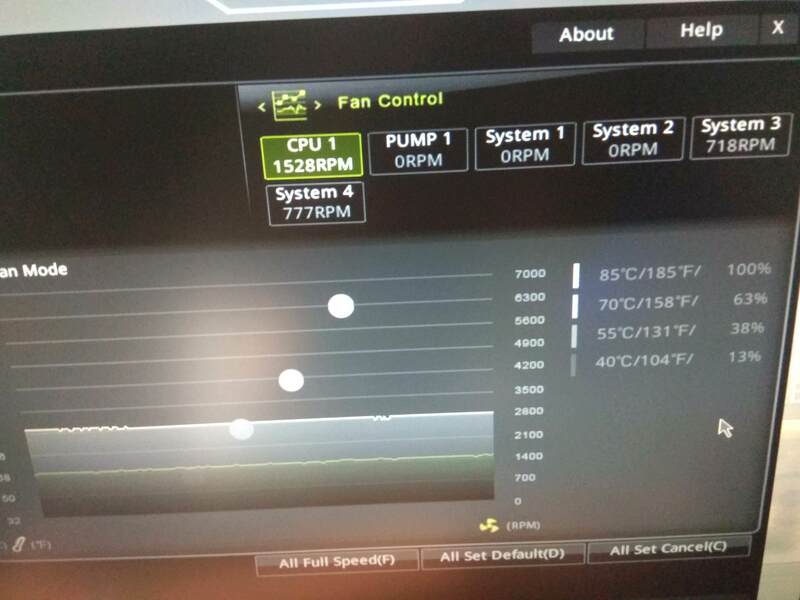 What software are you using to measure the temps? It could be an issue with the software also. Not all of them read correctly. Version will make a difference as well. Check your fan profile and make sure it is on something that isn't quiet mode or something like that. If you add fans always remember to balance the in with the out. It's all about flow. In this case i'll could only make it 3/2 out take - back and top 120mm pulling air out, front 2x140mm pulling air in. Is it good, or better 2/2 for equality? 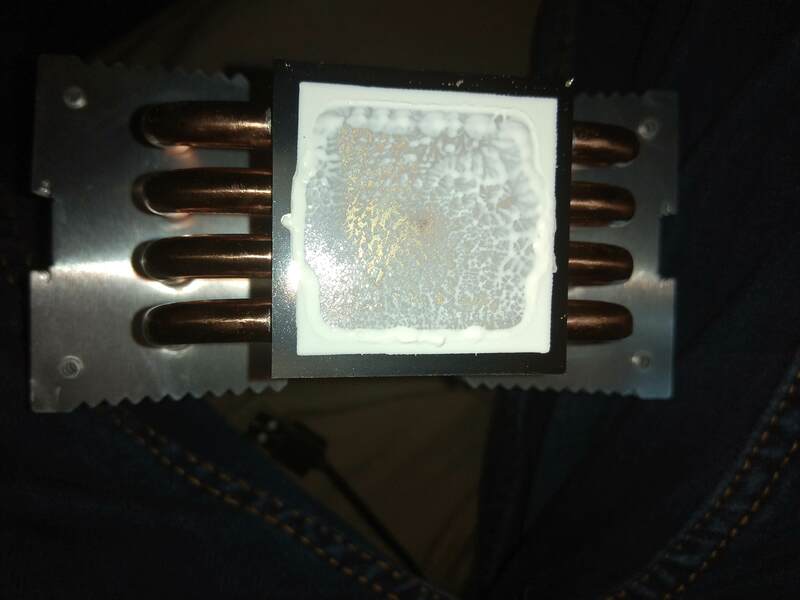 Edit: do you have thermal paste on your cpu right now and are you sure you have mounted your cooler properely? 2 in/3 out would be marginally better than 2 in/2 out, but I'd say it's not really worth the 10 bucks for one more fan. If it's for looks, you can go for it though. 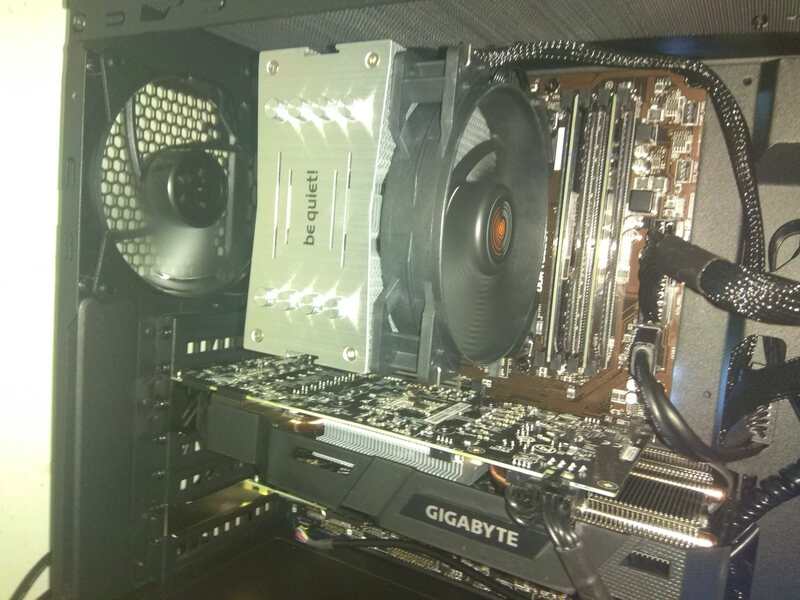 It was the service of french shop (LDLC.com) that assembled my pc. I can not believe it is possible to not put thermal paste while building a PC, but i'll check it soon. Well, in my country it is not rare for shops to not put thermal paste when they are building pc, but im living in banana country. That is why i ask. However, i bought a Cooler Master Master Gel thermal paste, i will clear the old one and put this one when it arrives, and i also bought 1x120mm fan and 2x 140mm (arctic f12/f14). 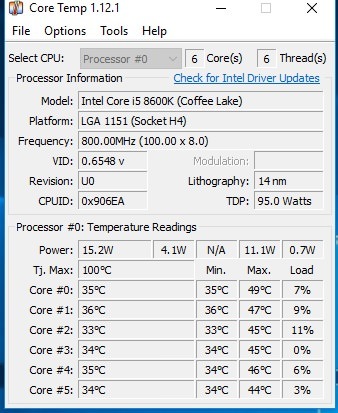 But... the thing that bothers me a lot, is why CPU FAN is only on 700RPM while CPU is 55-50 celsius - is it normal? Because i really don' think so. Yeah it is, anyway i found it - in the BIOS i put FAN at 100% and CPU temperature is 45-39, which i think is ok. 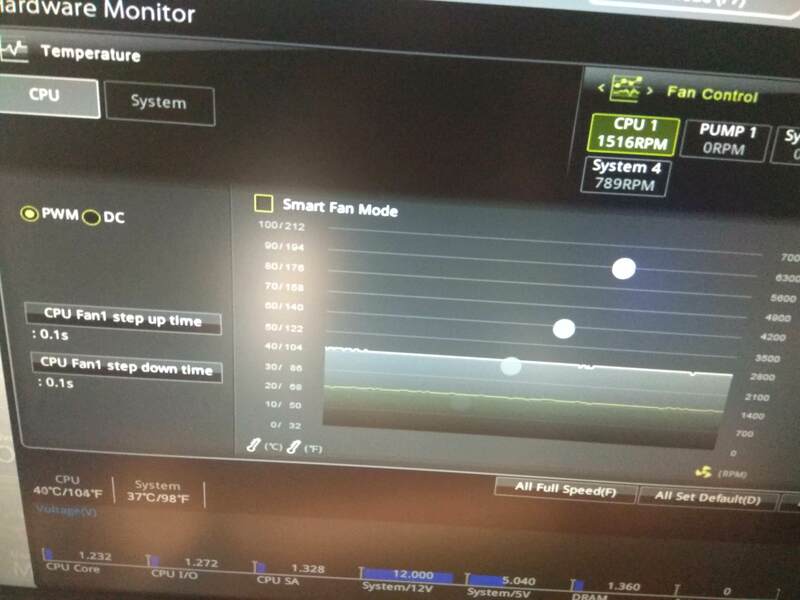 I try speedfan since several hours, but it does not detect my fans, i'l give a try and look for some MSI software, to see if it works properly. I recognize there is something wrong but i have absolutely no idea what. 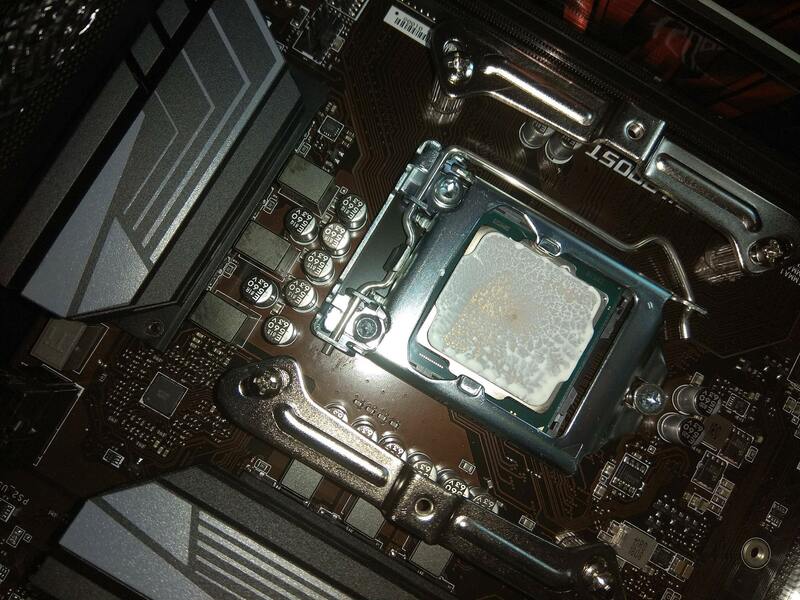 Uhm, did you put the cooler back on with the "old" thermal paste after checking it? If yes, then it's no surprise, as then there are probably some air bubbles enclosed within that paste from when you put it back on. Air transfers heat horribly, and thus the temps would rise. Then it is because of my stupidity, yeah i did. Sorry, i haven't had a PC (laptops for 6 last years) and i'm pretty much lost. 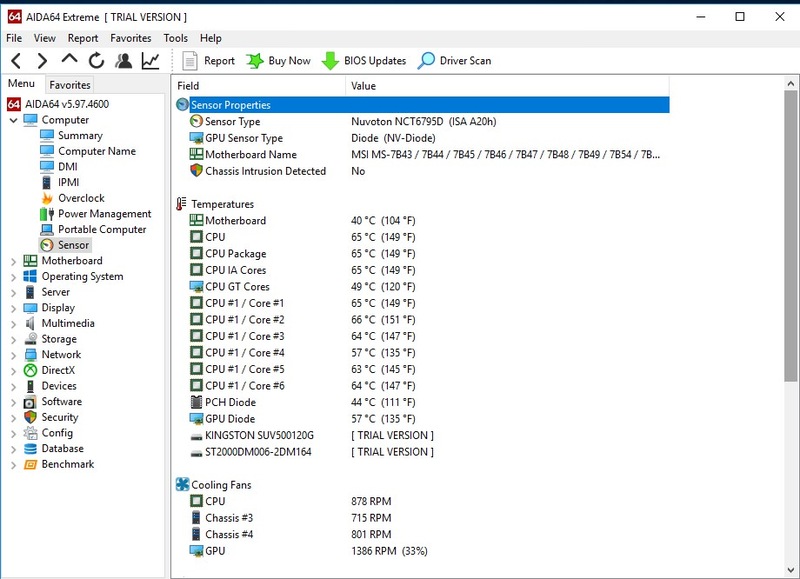 So we could see the ''true'' temperatures when the new thermal paste arrives yeah? I live in pretty small city, and had to buy thermal paste through internet. Then put the cooler and CPU together and tighten the mounting mechanism of your cooler well. Try not to readjust the position of the cooler or worse, lift it again after putting them together. I did not change the paste or install 3 others fans yet, but there is something i found, and i think is very strange. 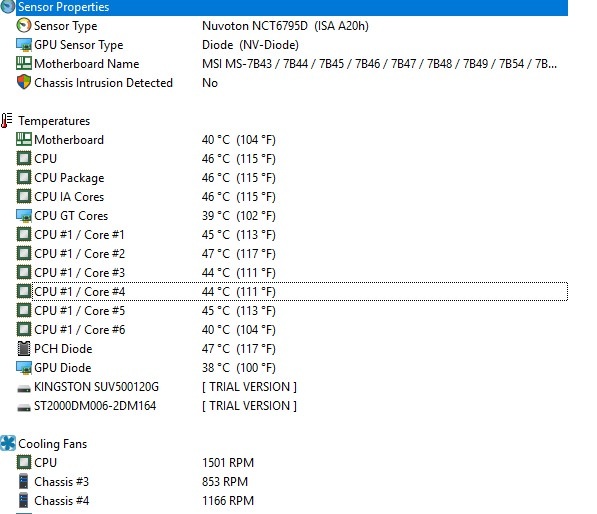 In CoreTemp (application for measuring temperatures on CPU) i see that the cores are at 100% load all the time, even in idle (task manager shows only 7%). 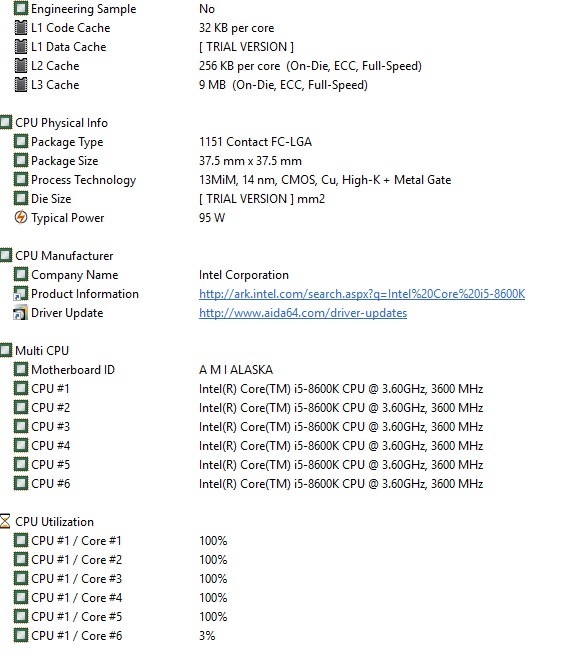 I wonder if i didn't leave some function that force cpu to be on 100% all the time in OC menu in BIOS (MSI). It is how it is supposed to be i guess, chipset is Z370 and socket is a LGA-1151. Should I reset bios and oc by pulling out the cmos battery? maybe it is related to oc that was done before (now it is not overclocked). Solved! Will G Sync Solve All Display Probelms? Solved! 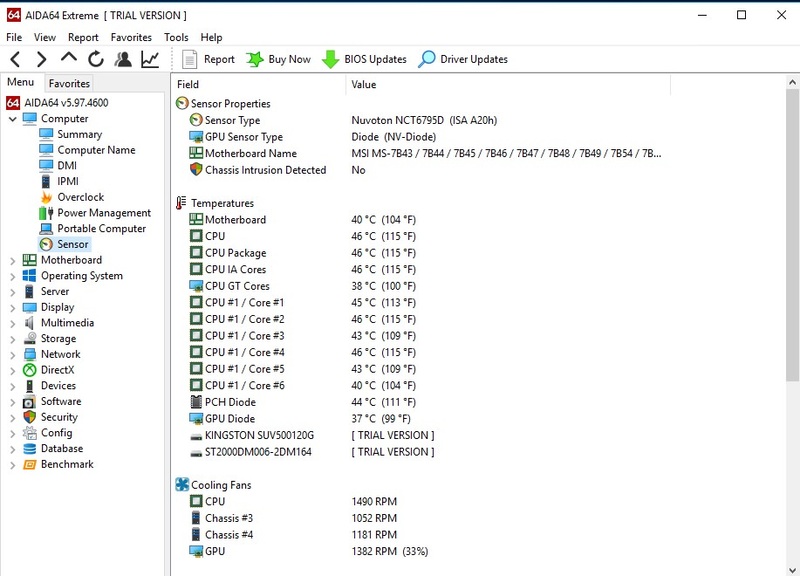 [SOLVED]Ryzen 3 2200G Tepmeratures very high.